Yingli joins Jinko and Trina in the sub-50-cents-per-watt club. The costs of manufacturing PV modules, not to be confused with selling price, remained relatively flat for major suppliers between the first and second quarter of the year, according to GTM Research's September PV Pulse. Yingli Green Energy was the one company to reduce all-in module costs by a significant measure, dropping 6 percent to 49 cents per watt. 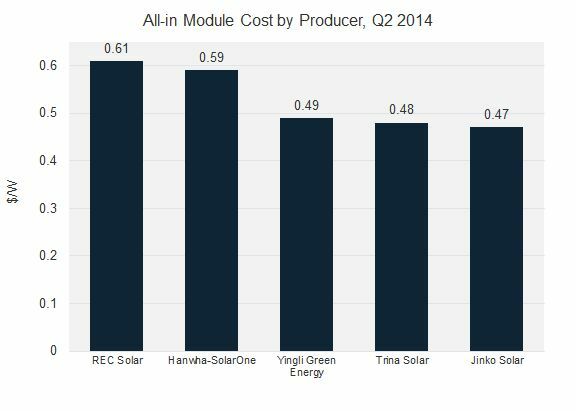 Only two other manufacturers, JinkoSolar and Trina Solar, have all-in module costs below 50 cents per watt. The reported all-in cost shown below is representative of each company's own internal manufacturing costs. In contrast, total blended cost, which accounts for internal manufacturing costs and OEM, may be meaningfully higher depending on reliance on and cost of OEM. For example, Trina Solar's second quarter internal cost was 48 cents per watt and its blended cost was 54 cents per watt. Yingli's successful reduction of all-in costs came on both the silicon and non-silicon fronts, which typically represent a respective 20 percent and 80 percent proportion of all-in module costs. Yingli's silicon costs dropped from 10 cents to 9 cents per watt and non-silicon costs dropped from 42 cents to 40 cents per watt between the first and second quarters of the year. According to Jade Jones, upstream solar analyst at GTM Research, "pushing beyond the 50-cents-per-watt cost barrier allows firms to capture greater margin and provides a means to offset volatile OEM costs, high polysilicon prices, and aggressively priced regional end markets." Jones notes that previously, the roadmap to lower costs was driven by falling input prices. "Moving forward," added Jones, "firms will have to bank on technological improvements such as better silicon utilization, increased automation, and higher efficiency levels." 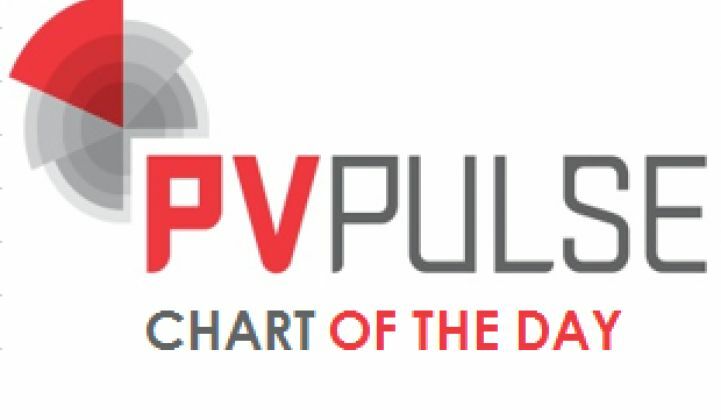 PV Pulse is a monthly service that includes data and analysis on PV technology trends, supply volume, pricing and supplier analytics. Learn more here. Note: A previous version of this article compared all-in costs and blended costs.